A few months ago I had the pleasure of reviewing my first ever car seat from Kiddy. The 3 year old has been well happy with it ever since. As have I. The only problem has been that the 5 year old moans and groans about his 'boring' seat every time we get into the car. And spends more time than is healthy thinking of bribes to offer his brother so that he can swap seats. I haven't had the heart to break it to him that it aint gonna happen. 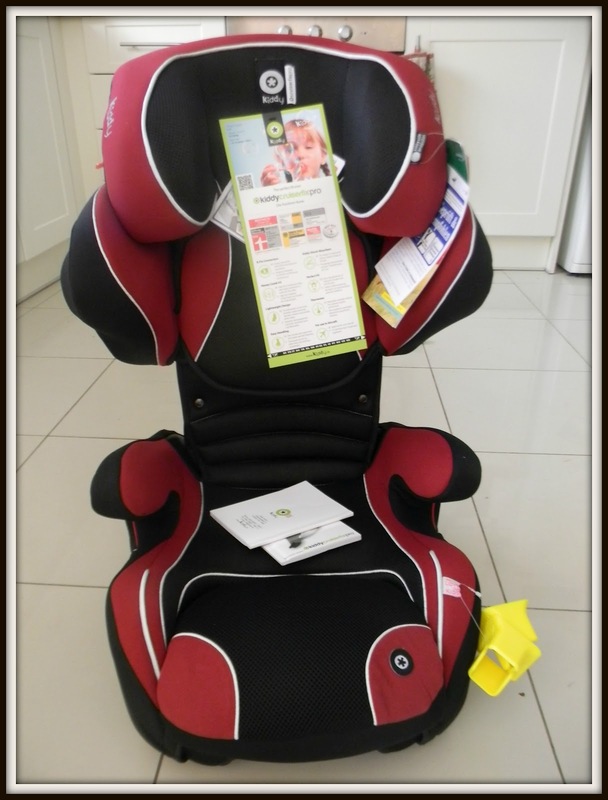 But being the wonderful people that they are Kiddy have sent him his very own car seat to review! The Kiddy Cruiserfix Pro is in part of the 2 - 3 group stage and is ideal for children aged 4 - 12 years. I can honestly say that I love these seats. They are ridiculously easy to set up and use, and their safety features are better than any car seat I have used in the past. They are lightweight, easy to swap between cars and really simple to adjust the size of. They also come with isofix connection and an extensive range of colours. There is nothing about this seat that I could fault. Kiddy can also be found on Twitter @kiddycarseats and Facebook. Kiddy is now available in Ireland via Bluebear Nursery. Disclosure: The Cruiserfix Pro was provided to me free of charge by Kiddy. All words and opinions are my own.